Graduated in Flute at the “Santa Cecilia” Conservatoire in Rome, he specialized in the contemporary repertoire with Pierre-Yves Artaud in Paris, in the Performing Practices of Early Music with Jesper Christensen and in Traversiere with Oskar Peter at the Schola Cantorum Basileensis. He attended as well to Composition course in L’Aquila Conservatoire. 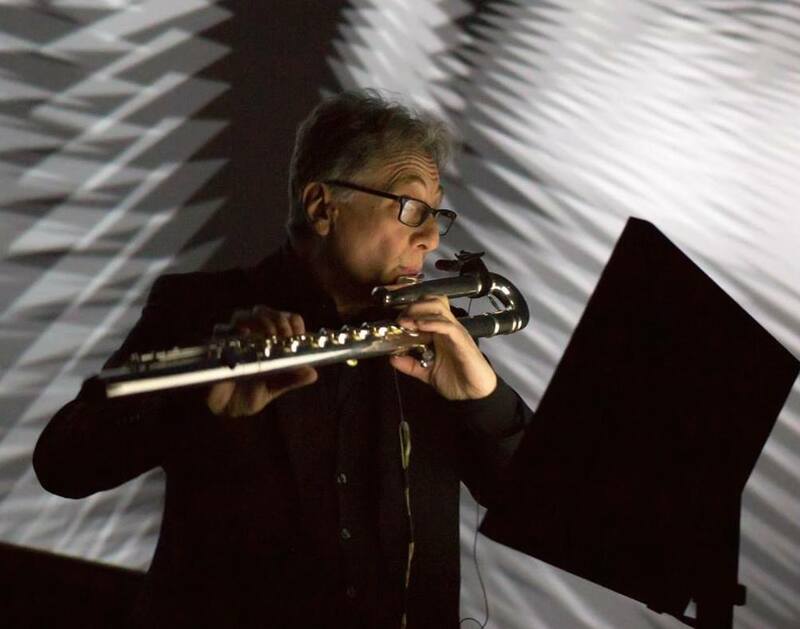 Since the 70s he has been active in the field of contemporary and ancient music, in music theatre and avant-garde performance. 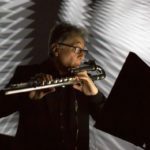 He has worked with artists like Roscoe Mitchell, Thomas Buckner, Evan Parker, Hubert Howe, Bruno Battisti D’Amario, Ian Mitchell, John Tilbury, Giancarlo Schiaffini, Studio Azzurro video production, Ars Ludi, Michele Rabbia, Giorgio Battistelli, Walter Branchi, Alvin Curran, Luigi Ceccarelli, Agostino Di Scipio, Michelangelo Lupone, Walter Prati, Salvatore Sciarrino, Lidia Zielinska, Giorgio Nottoli, Simone Pappalardo, Anna Clementi, Alvise Vidolin, David Ryan, Ilan Volkov, Tonino Battista, Steed Cowart, Marcello Panni, Luca Pfaff, Marco Angius, Tania Chen, London Improvisers Orchestra, and many others. 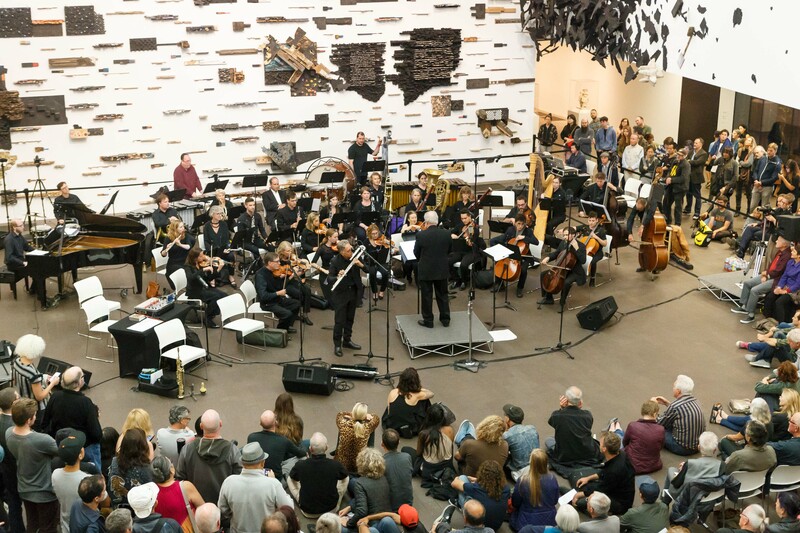 He was invited in 2017 by Roscoe Mitchell to perform as soloist in ‘Frenzy House’, for improviser and orchestra, with the BBC Scottish Symphony Orchestra, Orchestra del Teatro Comunale di Bologna and a Bay Area musicans large Ensemble in San Francisco. 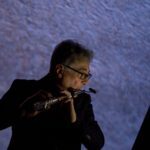 In March 2016, in California for a tour, gave Flute masterclasses for flutists and composers in Chapman University, San Francisco Conservatoire and Mills College in Oakland, invited by Roscoe Mitchell and Luciano Chessa. From the 2012 he is the main flute player in the EMUFest Electronic Music Festival “Santa Cecilia” Conservatoire in Rome. 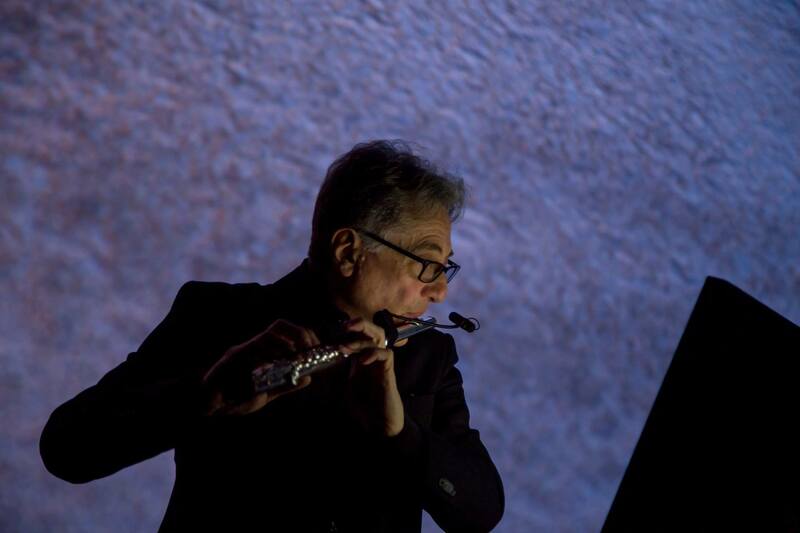 He performed in several Festivals: Tectonics Festival Glasgow; AngelicA festival Bologna; De Young Museum San Francisco; Estonian Music Days, Tallinn; New Horizons Music Series Chapman University Orange CA; Teatru Manoel Malta; Munich Biennale; Strasbourg Opera; Roma Europa Festival, Nuova Consonanza, Museo Casa Scelsi, Musica e Scienza, Musica Verticale Festival Rome; MilanoOltre; M.A.N.C.A. 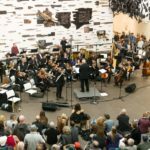 Festival Nice; Rheinisch-Westfälisches Music Festival and WDR Cologne; GAS Festival Goteborg; Udine Jazz Festival; REC Reggio Emilia Contemporanea; Cafè Oto, British Film Institute London; Nancy Opera; Kettle’s Yard Cambridge; Flanders Opera; Scompiglio Lucca; Ars Electronica – BrucknerHaus Linz; Neue Alte Musik Colonia; Massey College – Toronto University; Houston International Festival Texas; Festival di Musica Elettronica Italiana – Centro Reina Sofia Madrid; CCA Glasgow; Stockholm New Music Stockholm; Nits de Musica Mirò Foundation of Barcelona; etc. He has teached in several Italian Conservatories, Rome, Latina, Napoli, Salerno, Bari and as founder and Artistic Director of the Project Musica nei Musei, creates from the year 1990 musical and cultural events in historical places, as Museums and Churches, in Rome. From 2008 to 2015 Gianni Trovalusci was a member of the Italian Jury of EUYO (European Union Youth Orchestra). He’s member of the Executive Committee of the European Conference Promoters of New Music (ECPNM) and for many years was responsible of the activities of Federazione Cemat, for the promotion of Italian New Music in Italy and in the International context. He recorded for Rai Radio 3, Radio Vaticana, National Swedish Radio, West Deutscher Rundfunk, Sud West Rundfunk, BBC 3. He’s Flute Professor and Coordinator of the Progetto Musica Nazareth, a section of ‘Santa Cecilia’ Conservatoire in Istituto Nazareth in Rome.